Biscuit and oatcake manufacturer Simmers of Edinburgh has seen sales rise from £4.8 million in 1996 to an estimated £13.4 million in the current financial year, with the Sanderson Food and Process solution running business processes during this period. 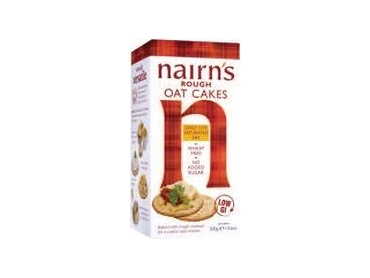 The nation's growing interest in healthy eating, the Nairn's brand oatcakes and own-label products Simmers produces for the UK's major supermarket chains are set to hit good sales levels this year. Sanderson Australia is set to support Simmers’ growing business into the future. According to Ken McGarrity, Finance Director, Simmers, they chose Sanderson Australia after separating from United Biscuits in 1996, rather than just address finance applications, they wanted a system that would run the business from beginning to end. Sanderson provided the best fit for these requirements. Sanderson Australia have satisfied the current needs with the option to add software modules as the operations grow or the business changes. A purchase order processing module monitors raw materials requirements in the factory, allowing accurate real-time management of stock levels against demand to ensure materials are always available and avoiding wastage from over ordering. Customer orders are entered directly into the sales order processing module, where sales staff can access full client histories to help manage customer queries, perform sales analysis and develop successful marketing initiatives. Sanderson system, enabling them to easily raise picking lists and organise delivery runs. When signed proofs of deliveries are received from the distributor, Simmers can invoice the customer directly from the system. By automating processes, all data becomes ‘live’ and provides Simmers full visibility across the enterprise, enabling accurate decision making and troubleshooting to ensure efficiency throughout the supply chain. No manual re-keying is required, reducing errors and administration time and costs for a more profitable bottom line.